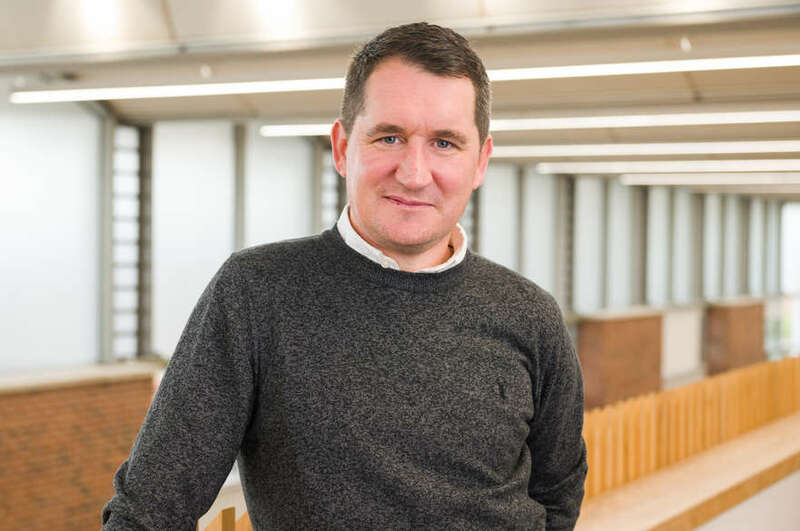 Associate Professor in the School of Arts and Humanities, Dr Chris Reynolds, has been working on a long-term collaboration with Belfast’s Ulster Museum, which focuses on Northern Ireland’s 1968. As we reach the 50th anniversary of this period, the project will signal further discussion and activities, with an upcoming research seminar at Nottingham Trent University taking place on the 15th June and a conference planned for later this year. Thus far, the project has resulted in a permanent display in the Modern History gallery at Ulster Museum, a touring exhibition named ‘Voices of ‘68’ and the development of educational materials currently in use across Northern Irish schools. The GCSE curriculum in Northern Ireland covers this period of history, which has been integral to the development of the project, culminating in an online learning resource designed to assist teachers working on the subject. The resource also provides study activities for a visit to the exhibition at Ulster Museum. The educational work is supported by student conferences, led by academics in the field including Dr. Reynolds and featuring talks from protagonists on their experiences of the period. The ongoing project uses academic research and museum practice to record and archive the voices of those involved in this period of national and international revolt. Interview material from those who were present during the time has been made into a series of extended videos, which are publicly available for those wishing to further explore the events of Northern Ireland’s 1968. The exhibition and teaching resources have been cited as examples of good practice by organisations focusing on the peace process. The project signals a new approach to dealing with the past in the specific Northern Irish context, but will also be tested in other post-conflict contexts. Anonymous feedback from GCSE study days have been positive overall, with students commenting on how the sessions have particularly developed their appreciation of international influences, and the value of hearing individuals’ stories. This year marks an important year for the project and will provide the platform for a long-term working relationship between Nottingham Trent University and the Ulster Museum. There has been interest from bodies in the USA, Paris and UK to host the travelling exhibition, including NTU. The project is also referenced in Harvard University’s ‘Cultures of Protest’ project. The Northern Ireland 1968 project has so far been successful in contextualising the protests internationally, encouraging a methodological and theoretical approach to dealing with such a sensitive subject. Reynolds, C., ‘Beneath the Troubles, the Cobblestones: Recovering the ‘buried’ memory of Northern Ireland’s 1968’, American Historical Review, special number on 68, June 2018. Reynolds, C., ‘Protestant attitudes to Civil Rights’, forthcoming. Reynolds, C., ‘Dealing with Northern Ireland’s contested past: 1968 and agonistic remembering’, forthcoming. Reynolds, C., ‘Reframing Northern Ireland’s 1968 in a ‘post-conflict’ context’, Museums of Cities and Contested Urban Histories’. CAMOC Ebook to be published mid-2018. Reynolds, C., Enduring insularity and the memory of Northern Ireland’s 1968’, Heritage after conflict: Northern Ireland. Expected publication May 2018. Reynolds, C., ‘Transnational memories and gender: Northern Ireland’s 1968’, Gender and 1968: The Historical Experience and Political Legitimacy of Struggle. Routledge. Expected publication, mid 2018. Reynolds, C., ‘Northern Ireland’s 1968 in a post-Troubles context’, Interventions, Vol. 19, 5, 2017. pp. 631-645. Reynolds, C., Sous les pavés…The Troubles: France, Northern Ireland and the European Collective Memory of 1968. (Peter Lang, 2014). Reynolds, C., et al., ‘Spaces’, in Robert Gildea, James Mark, and Anette Warring (eds. )., Europe’s 1968. Voices of Revolt (Oxford, Oxford University Press, 2013). Reynolds, C., et al., ‘Violence’, in Robert Gildea, James Mark, and Anette Warring (eds. )., Europe’s 1968. Voices of Revolt (Oxford, Oxford University Press, 2013). Reynolds, C., and O'Shaughnessy, M., eds., 2012. La France et la Crise [special issue]. Modern and Contemporary France, 20 (2). Reynolds, C., ‘The collective European memory of 1968 – The case of N. Ireland’, special issue of Etudes Irlandaises, Numéro 36.1, Printemps/Eté 2011.